Here are some pics from my trip to New York City with the CHS/DLS Concert Choir during spring break and a few from a trip to Disneyland with my classmates. Click on the thumbnails to see full size picture. 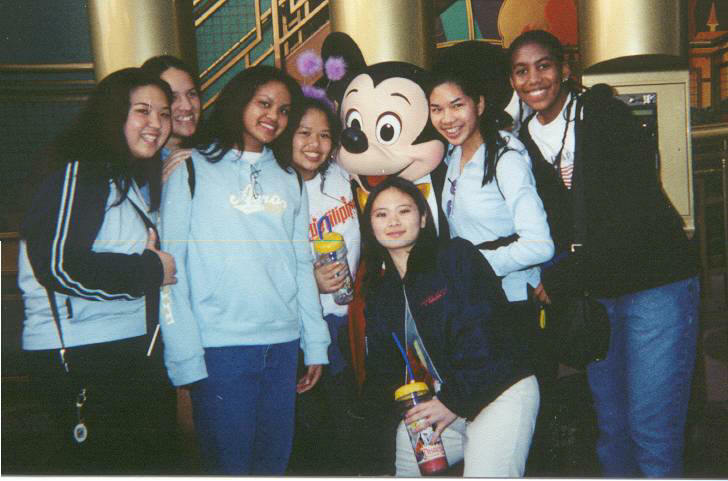 My friends, Caitie, Kitty, Cassie D, Venisse, Jenny, Cassie M and me posing with the the big boss of Disneyland. I'm the third one from the left. A shot of the football jersey and medal left by De La Salle and Carondelet High School.